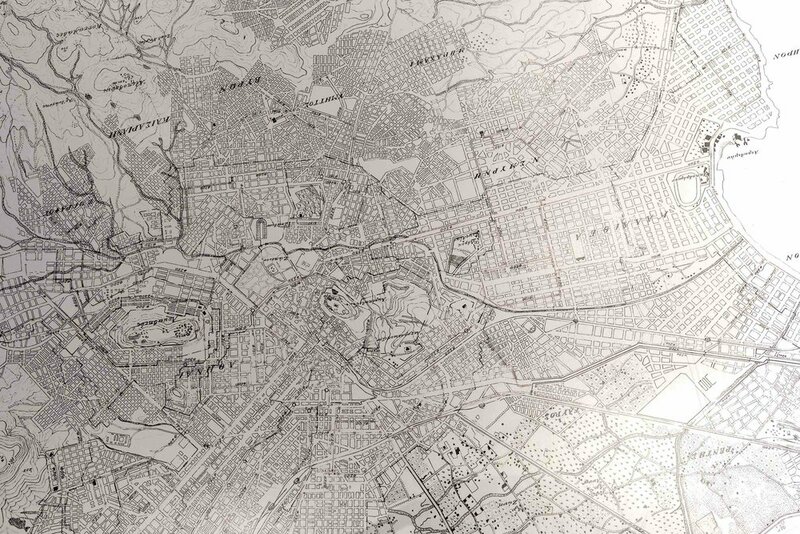 Project curated by Melina Nicolaides, ACTIVATE, and produced in collaboration with EYDAP, the Water Supply and Sewerage Company of the Greater Metropolitan area of Athens. 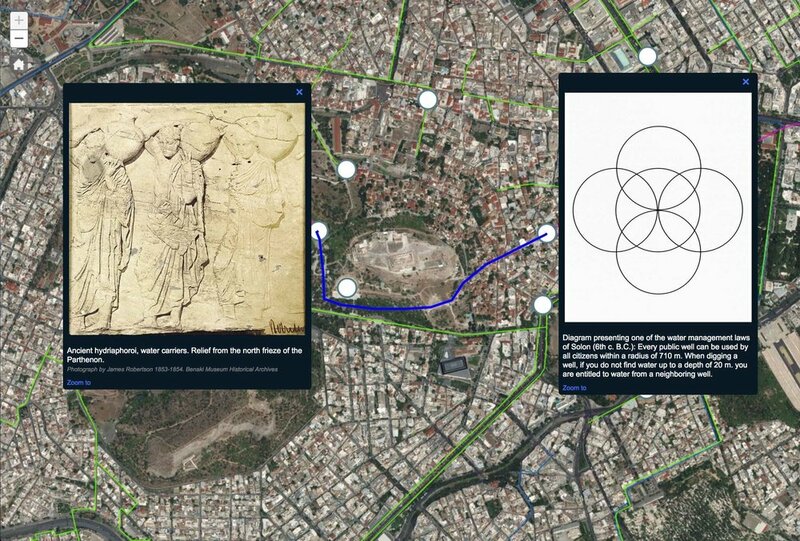 The purpose of this collaborative initiative was to create an interactive digital map of the historical water sites and contemporary hydrological networks of Athens and the district of Attica. 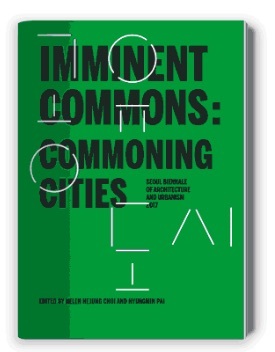 The objective was to enable the public to appreciate the relationship the citizens of Athens have had with water throughout the course of history, and consider the role of this resource as a ‘commons’ of the city. The water images of the Attica area used within the interactive digital program were sourced from EYDAP’s historical and contemporary archival collection of photographs, plans and drawings. Additionally, the production team also compiled new photographic material from employees of EYDAP, amateur photographers, and from external sources such as the Benaki Museum, Athens. 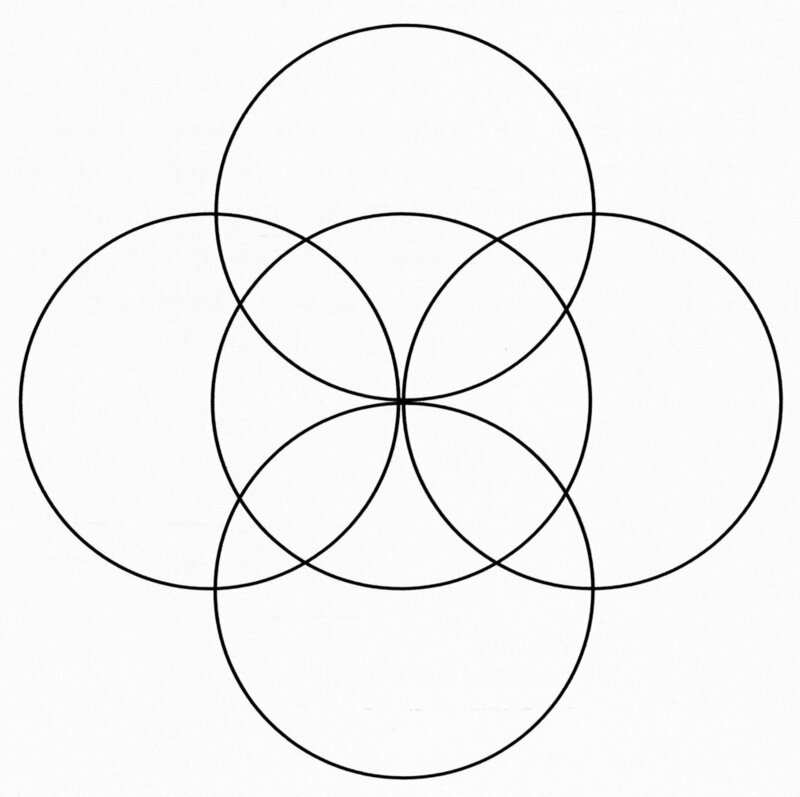 Diagram of Solon’s Water Law, which corresponds to five neighboring Athenian wells where ideal distances between each one is 740 meters. Since the time of its birth, the city of Athens has lived with the notion that the perennial shortage of water faced by its inhabitants is rooted in a mythical contest between Olympian gods Poseidon and Athena. Hence, it was from that time onwards that this city had to develop basic water collection and distribution systems for the people’s freshwater needs. Historic projects were constructed to supply water, in order to provide high living standards and hygiene to the inhabitants of Attica. The ancient Athenians not only engineered works to provide sufficient quantities of water, but also took measures to preserve water quality and promote rational usage of the scarce resource. 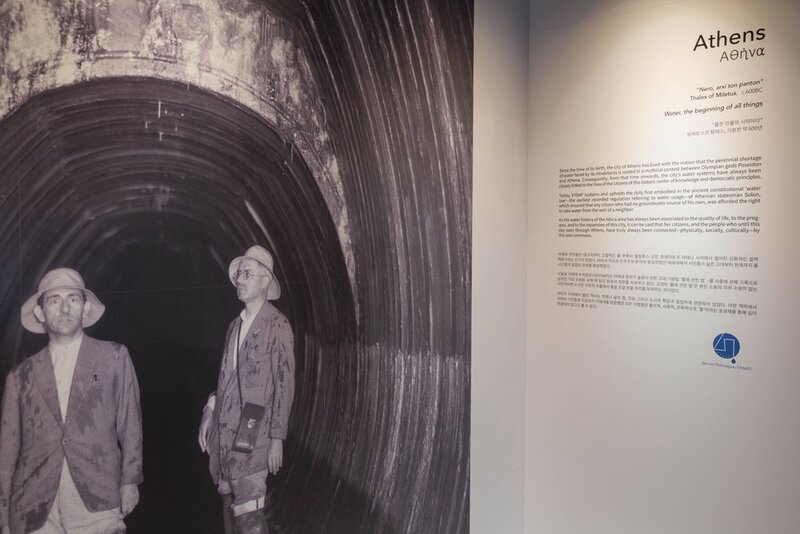 With projects such as aqueducts, fountains, wells, reservoirs, and distribution networks, they ensured that the inhabitants of Attica would always have a constant supply, despite the permanent threat of water shortage. 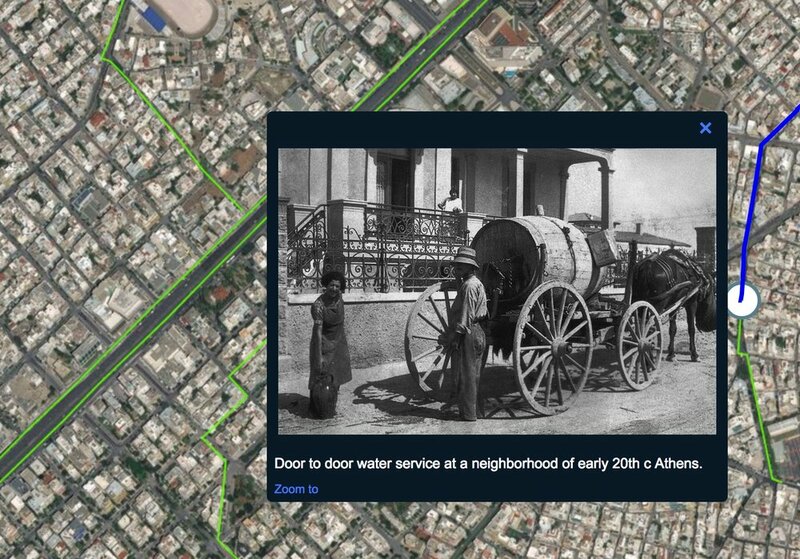 With the passing of time and the progress of technology into the modern era, the role both of provider and of “water-keeper” for the contemporary city passed into the hands of the Athens public water authority. Today, EYDAP—the largest water and wastewater management company in Greece—undertakes the responsibility for supply distribution, quality control, sewerage and water treatment plants, irrigation, infrastructure maintenance and anti-flood projects. With these responsibilities, it sustains and upholds the duty first embodied in the ancient constitutional “water law” enacted by Athenian statesman Solon in the year 530 BC. This earliest recorded regulation referring to water usage ensured that any Athenian citizen who had no groundwater source of his own was afforded the right to take water from a neighbor’s well. At present, the water of Athens is among the highest quality water in all of Europe, and potable water reaches the nearly six million residents of the area through an extensive distribution network of over 9,500 km. EYDAP safeguards the basic human right to clean water and sanitation as well as the ecological protection of this resource in the natural environment of Greece. 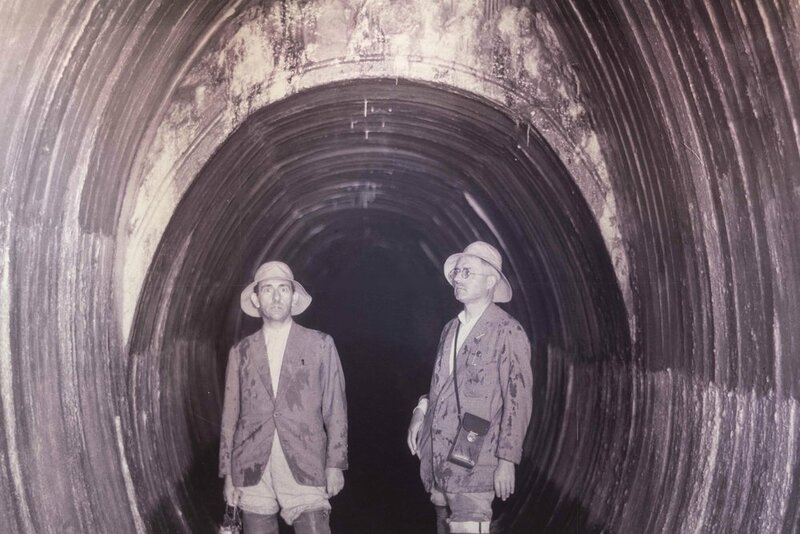 Construction of underground water tunnel that would transport water from the Marathon Reservoir to the city of Athens for the first time. Boyiati Tunnel 1928. Source: Historical Archive EYDAP. 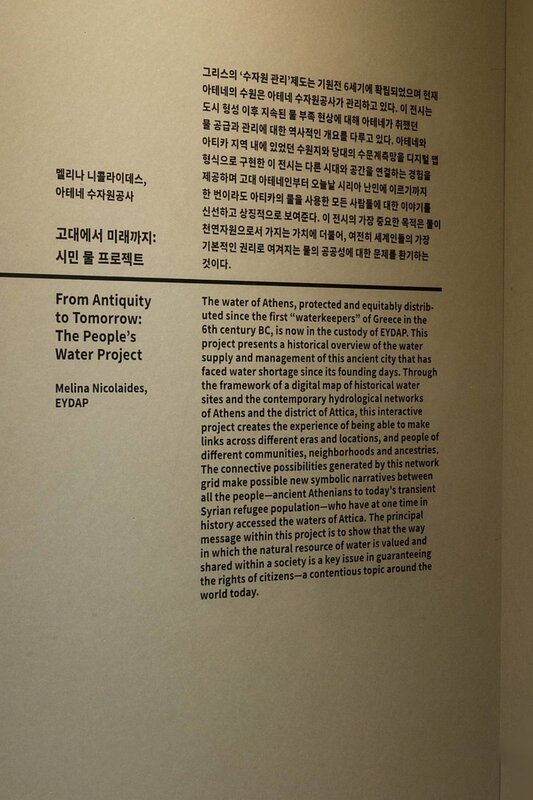 The EYDAP water project was designed as a visually descriptive water chronology; it presents a historical overview of the water supply and management of this ancient city and the district of Attica. Through the framework of an interactive digital map, it is possible to reveal images which correspond to historical water sites and contemporary hydrological networks. In this way, it creates the experience of being able to transition across different eras and locations, creating links between people of different communities, neighborhoods and ancestries. The connective possibilities generated by this network grid make possible new symbolic narratives between all the people who have at one time in history accessed the waters of Attica. Assembled from the EYDAP archives, the imagery reveals important milestones, such as ancient Athenians using the Hadrian Aqueduct system, or the arrival of refugees and immigrants from Asia Minor in 1922. This was a seminal moment in Athenian water history in which a sudden increase in population required supplementary sources for the city’s water supply, a task accomplished with the building of the celebrated Marathon Dam. 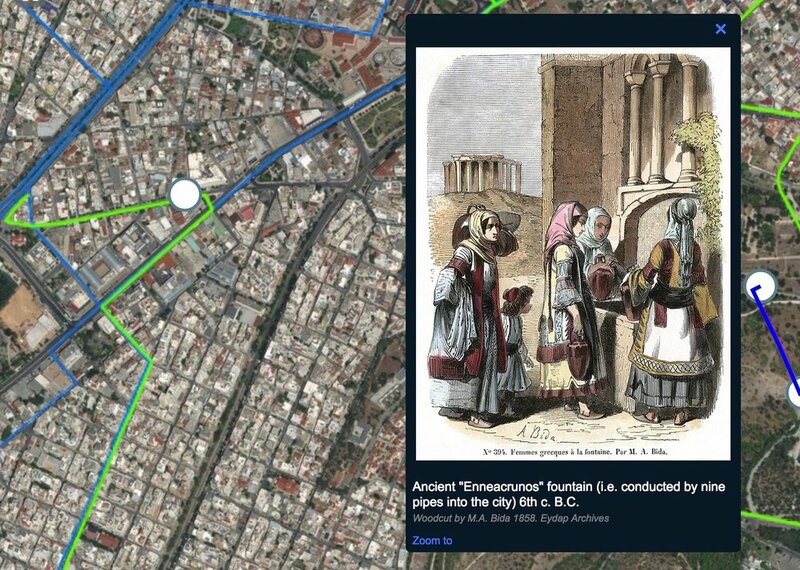 Contemporary water network images might correspond to visiting tourists at a drinking fountain within the ancient historic marketplace or to the city’s peripheral Aspropirgos source, which provides water to today’s transient population of Syrian refugees. The building of the Marathon Dam, 1927. Over 900 people were involved in its construction. It is the only dam in the world entirely paneled externally with white Pentelikon marble, the marble that was used for the building of the Parthenon of Athens. Source: Historical Archive EYDAP. As the water history of Attica has always been associated with the quality of life, the progress and the expansion of this city, it can be said that her citizens, and the people who to this day pass through Athens, have truly always been connected— physically, socially, culturally—by this one commons. Likewise, as connectivity is essential to communication and mutual understanding in the 21 st century, interaction with this project’s network will enable, firstly, an understanding of the relationship different people have had with Athenian water over the centuries. Second, it will also affirm the principle that water is a resource that belongs to all people. This presentation proposes that, within a society, this common resource should be an example both of city to citizen reciprocity, and of human inter-dependency—following the water ethics of ancient Athens. 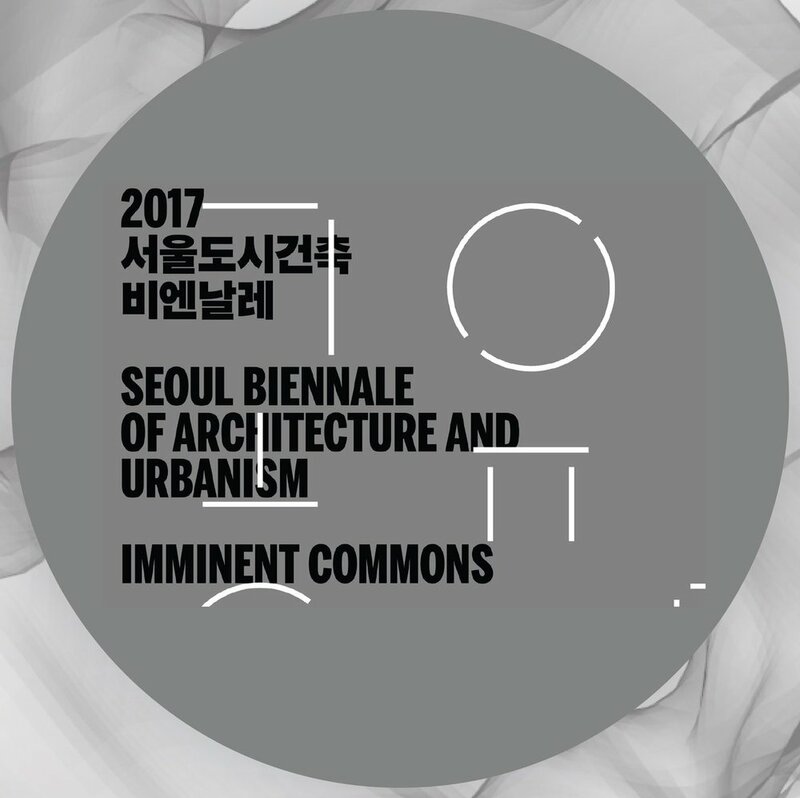 Any endangerment of this communal heritage or reversal of this prescript would threaten the very identity of this city, its historical past and its connection to its future self. The development of this project was supported by Eftihia Nestoridou, Executive Director of Coordination & Supportive Operations, and made possible through the collaboration of the following departments: Department of Design Studies & Specifications, Assessment & Support of New Activities, Historical Archive & Corporate Responsibility and the Department of GIS. Coordination was supervised by the Department of Coordination & Supportive Operations and the Department of Communications & Corporate Affairs. 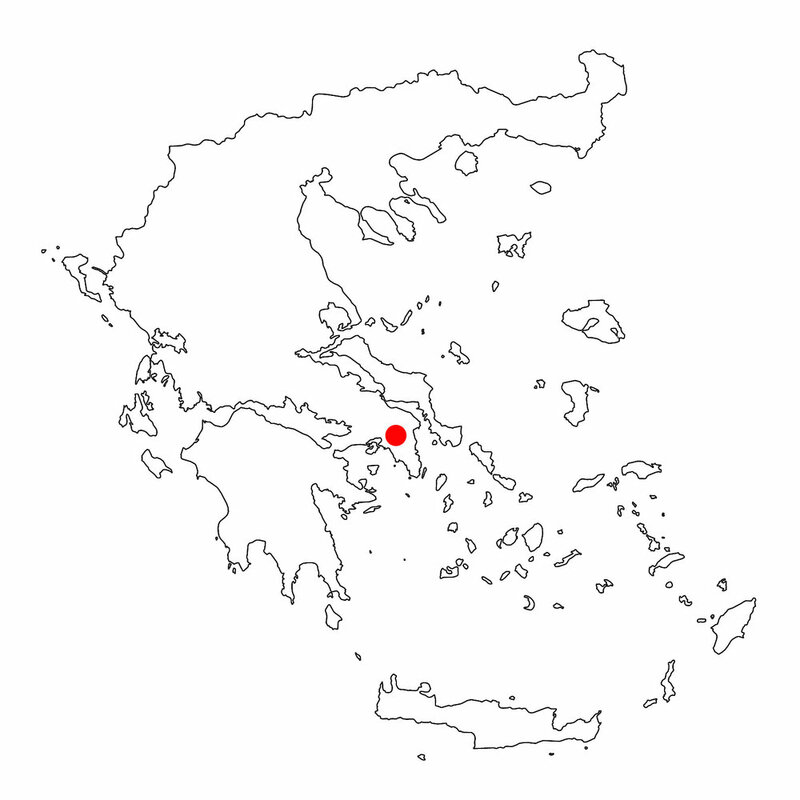 EYDAP is the Water Supply & Sewerage Company of the greater metropolitan area of Athens and the district of Attica. It is the largest water and wastewater management company in Greece, and reaches nearly 6 million people, who are supplied with potable water by a distribution network made up of over 9,500 kilometers of water pipeline. EYDAP also designs, manages and maintains infrastructure, upgrades water systems, and upholds quality control. The environmental protection policy of EYDAP aims to ensure the sustainable management of this important resource, and the preservation of ecosystem equilibrium in the natural environment of Greece.